What do you wish you had known about the IT profession — before you graduated from college? That’s the subject of Ivan Neto’s upcoming talk at the 19th SIECOMP, a week-long event series at the Universidade Estadual in Feira de Santana. 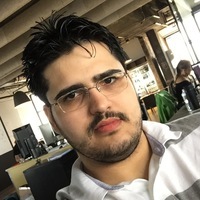 Ivan, a Toptal developer, will speak on Friday, March 23rd at 9:00 am in Auditorium 3. Join the session to hear about the realities of working in IT, and to learn Ivan’s answers to the questions: - What kind of company should I work for? - Should I risk a remote career?, or move to a specific location? - Should I pursue a more scientific career? - What types of jobs are available? - What has changed in recent times? - How can I reconcile money and quality of life?